If you are looking for information on the Aaron's franchise business opportunity, Aarons franchises or Aaron's franchising, then you have come to the right place. Three More Reasons To Invest In Aaron's. 1) Return On Your Investment. How much money can you make? Do the math. Compare your ROI as an Aaron's owner to any other franchise. If you're investigating another franchise system, ask to see their Earnings Claim, their "numbers." Don't risk your money and your future on a franchise that isn't forthcoming about the dollars, any litigation, and their franchisee satisfaction. 95% of our franchisees are multi-unit owners, one with 70 stores. Why? Because our owners make money the new-fashioned way: Aaron's has reinvented how a growing and underserved, mainstream market acquires necessities like quality furniture, name-brand appliances, high-tech electronics, and state-of-the-art computers. We give our customers three reasons to shop at Aaron's: 1) everyone is pre-approved; 2) every product comes with a low-price guarantee; and, 3) everyone can own his merchandise in as little as 12 months. Attend an Aaron's DISCOVERY DAY and we'll show you how you will make Money. Be Successful. And, Live Life on your terms. 2) Return On The Brand. Ours is the classic American Dream story. It all started in 1955 when founder and now chairmen and CEO, Charlie Loudermilk, began renting chairs for 10 cents a day to auction houses. It was gritty, hard work. But, it instilled a winning, competitive culture that today has earned a worldwide reputation for integrity, determination and corporate goodwill. 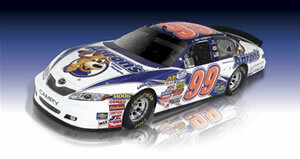 Our competitive spirit and envied reputation are evident in our "Drive Dreams Home" sponsorship of NASCAR championship racing, and as title sponsor of the "Aaron's 312" Nationwide series race and the "Aaron's 499" Sprint Cup race. We're building a brand and we're giving back to the communities we serve. Our owners receive the most professional and unrivaled, on-going support that you'll find in the industry. From pre-opening assistance, detailed training programs, traffic-generating marketing initiatives, inventory financing, to volume purchasing and proprietary management information systems, we know of no other franchisor that provides the breadth and depth of support like Aaron's. Aaron's has 12 manufacturing plants and 17 Fulfillment Centers delivering high-quality products to our showrooms throughout the United States and Canada. 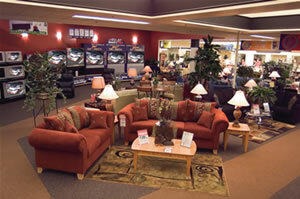 As an Aaron's owner, you'll be PROUD to feature the best products at best prices in our customer-friendly showrooms. Meet Todd Wilkins: Husband, Father, CPA, Entrepreneur, and Aaron's Franchise Owner. "When I took a look at Aaron's I turned their system, their Earnings Claim, and their stores upside down. Like a good CPA, I compared their ROI to every other business and franchise I could find and there was no comparison. Then I talked to their corporate execs, shopped their stores, and visited with their franchisees. Aaron's was different, better and for me. Aaron's offered the business opportunity that will give me the financial security and the lifestyle rewards that I want for my family." 3) Return On Your Effort. As an Aaron's franchisee you will own an asset. You can work the business or set it up as a manager-run operation. That's because we have the computer systems and the field support that allow you to be in real-time control of your investment -- no matter where you live or travel. Our typical hours are Monday-Friday 10-7PM, and Saturday 9-5PM. It only requires as few a six and as many as 12 employees -- depending on the size of the showroom -- to operate an Aaron's franchise. If you follow our systems, you can make money and be successful! Why invest in a restaurant or other risking business, when we deliver the results?